Until 2005, Jeannette Walls was best known for being the gossip writer for MSNBC.com — which is to say she wasn’t known at all. Us Weekly staffers used to receive a thick gossip roundup packet each morning, and the Xeroxed print-out of her column was perpetually located in the back because her items were so expendable. Then her brilliant memoir, The Glass Castle, arrived. Turns out that Jeannette wasn’t just a reporter chronicling Regis Philbin’s night out on the town. She was an impossibly strong-willed survivor who overcame unimaginable obstacles during her hard-scrabble childhood. A real-life heroine. I guarantee this will not be the big takeaway from anyone going in cold to the big-screen adaptation. Instead of a triumphant tale about perseverance, we get a glossed-over love letter to the joys of quirky hippie-dippy parenting. The change — I call it Project Smiley Face — is hugely disappointing given the unvarnished source material. Indeed, this version of The Glass Castle features a solid foundation, but desperately needs a top-to-bottom refurbish. 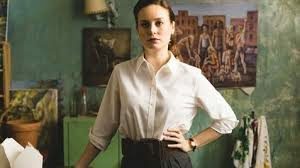 For starters, Jeannette, as played by Oscar winner Brie Larson, shouldn’t be a supporting player in her biopic. Leave it to a gossip reporter to hide her own personal details. We meet Jeannette in the late 1980s enjoying a business dinner in New York City with her fiancé (Max Greefield) and his clients. Using a firecracker wit, she regales the strangers with grand details about her parents’ lofty life in West Virginia. She doesn’t flinch when she asks the waiter to box up her dinner, as well as the leftovers of her female dinner companion. “I never joke about food,” she retorts. She kisses her rich handsome guy outside the eatery and tells him nonchalantly, “let me do the lying about my family.” In a cab, she glimpses outside and sees two homeless people pick over the garbage. She says nothing. They are her parents. When the money situation turns from bad to unbearable, Rex reluctantly moves everyone back to his family home in West Virginia — one of the poorest regions in the country. Whereas Rex is a creative eccentric, his mother is a miserable bully who thinks nothing of slapping her only grandson upside the head because he doesn’t like her green beans. (Er, she may or may not be a sexual abuser as well.) The Walls finally get their own place out but under the grimmest of circumstances. There’s no electricity or running water; Rex uses whatever money he earns to buy alcohol. The kids are famished, and the outlook is dire. Except that it’s not. Perhaps to bolster Larson’s limited screen time, the narrative clumsily jumps from past to present. Just when it seems like youngest child Maureen will be malnourished for life, the director cuts to a jovial scene in New York City in which all family members are present and accounted for and joking about “the yellow poop bucket” in West Virginia. In an instant, all the dramatic tension in the flashbacks are zapped. Ditto for the stakes. There’s no heft in Jeannette secretly saving up money to escape to New York. We know she makes it there and still opens her heart (and her wallet) to her parents. As she described it herself, Jeannette’s living conditions were deplorable. I still remember a passage in which she recalls that there was so much green mold covering the house’s interior that mushrooms started to sprout. Rex was a belligerent alcoholic, not some happy-go-lucky drunk with a heart of gold. But the filmmakers can’t commit to going deep. (In Breaking Bad terms, they only do half measures.) Even the epilogue is wrapped up in a bow. Did execs worry the darkness — i.e. the extreme poverty, the depression, the alcoholism — would be a turnoff to audiences? I wish they would have realized that the best way to appreciate what Jeannette and her three siblings accomplished as adults is to illustrate all the suffering they had to go through as kids. Details matter. Most based-on-a-true-story movies in recent years like to offer up photographic evidence of the real-life characters over the closing credits. 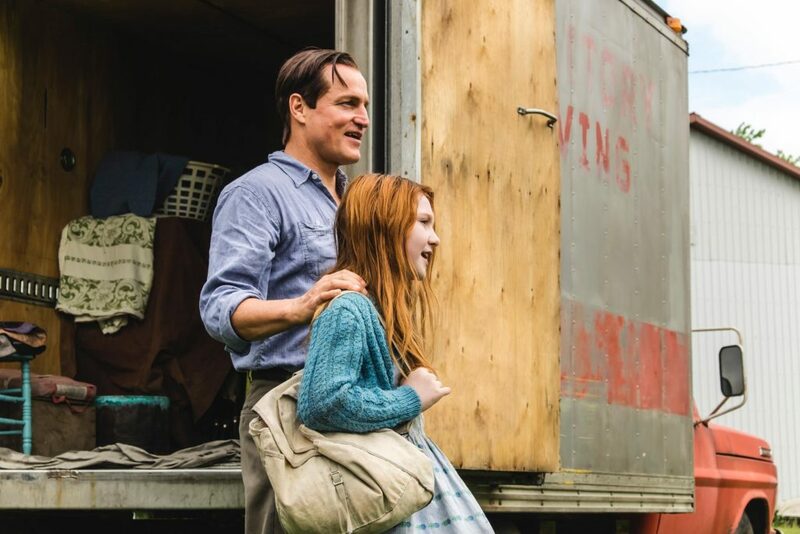 The intention is for audiences to marvel, “Hey, look how much the actor resembles so-and-so!” The Glass Castle pulls the same party trick, only here we get to see some of the Walls family in new video footage. A beaming Jeannette bears little resemblance to the brittle Larson. She imbues a remarkable, spunky grit. She has lines on her face that are well-earned. Alas, the image is fleeting. Read the memoir 12 years ago and still remember passages vividly. You couldn’t believe how terrible the parents were, and that Jeannette still survived to prosper. 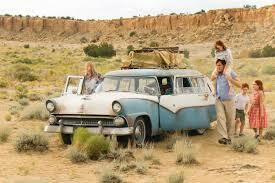 So sad the studio took it apart and put it back together as a vehicle for Woody and Brie. I barely remember an adult Jeannette in the book.